Ayojide.com Get Smart Solutions: What You Must Know Before Starting Free Hosting ! What You Must Know Before Starting Free Hosting ! Free web hosting is best suited for small sites with low traffic, like family sites or sites about hobbies. It is not recommended for high traffic or for real business. Technical support is often limited, and technical options are few. Very often you cannot use your own domain name at a free site. You have to use a name provided by your host like http://www.freesite/users/~yoursite.htm. This is hard to type, hard to remember, and not very professional. With shared hosting, your web site is hosted on a powerful server along with maybe 100 other web sites. On a shared host it is common that each web site have their own domain name. Low cost. Cost is shared with others. Reduced security due to many sites on one server. Good for small business and average traffic. 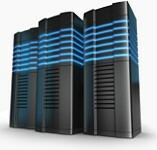 Dedicated hosting is the most expensive form of hosting. The solution is best suited for large web sites with high traffic, and web sites that use special software. Harder to configure and debug. Before you sign up a contract with any hosting provider, surf some other web sites on their servers, and try to get a good feeling about their network speed. Also compare the other sites against yours, to see if it looks like you have the same needs. Contacting some of the other customers is also a valuable option. Over the Internet you can reach a large number of customers. It is not a very good idea to build your own e-commerce system. Some (larger) companies might do it, but we will not recommend it if you run a smaller business. Building an e-commerce system is a complicated process, with the potential for a lot of errors. You might buy a ready-to-use system and run it on your own server. Many systems are available on the market today, and most of them will cover your basic needs for order management and processing. But again, if you are not familiar with hosting your own web site, starting with an e-commerce site is not the right thing. Before you sign up a contract with any hosting provider, surf some other e-commerce sites on their servers. Find out how it works. Actually try some shopping and see if you get a good feeling. Also compare the other sites against yours, to see if it looks like you have the same needs. Contacting some of the other customers is also a valuable option. Taxes are a complex issue for most on-line stores. Especially VAT (Value Added Tax).